Dispense a small amount into hands and emulsify. Apply evenly to damp hair from roots to ends, style as desired. 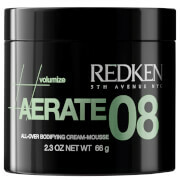 Apply evenly to damp hair from roots to ends, style as desired.